The intense climatic change over the last years has a strong impact on local weather fluctuations that used to be more stable. Authorities and scientists strive to solve the problem but still have a long way ahead of them. So, until that time comes we can all take some measures to improve the temperature within our home and save energy. 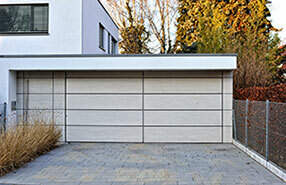 Garage doors occupy a lot of space in the house and the smallest problem could obstruct the effort to save energy. Since most garages are attached to the houses, their temperature influences the temperature of the whole house. 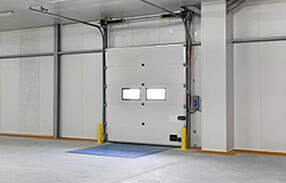 If you are planning to buy a new overhead door in the near future, it’s best to spend some more money in order to get an insulated one, especially if the local weather conditions require the frequent use of HVAC units. You'll notice the difference in the price through reduced electricity bills. 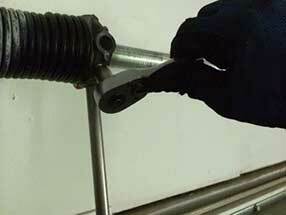 If you want to avoid garage door replacement, insulate the existing one with special kits found on the market. The results won't be the same as buying a new door with polyurethane or polystyrene materials, but for now - it'll make a difference. The bottom seal is just as important for the proper insulation of the door as the seals on the side and on top. If your garage walls are practically invisible due to piles of objects and furniture, you can never know whether there are cracks in the walls that might allow some drafts inside. Moreover, if you have plumbing problems, the levels of humidity will be high. Possible garage door opener problems may prevent the door from closing down properly and, consequently, air will be entering your premises. If you feel that the temperature within your garage is not normal, check the door thoroughly and make sure it shuts down firmly. If it doesn’t, you must check all the components and find the cause of the problem as soon as possible.